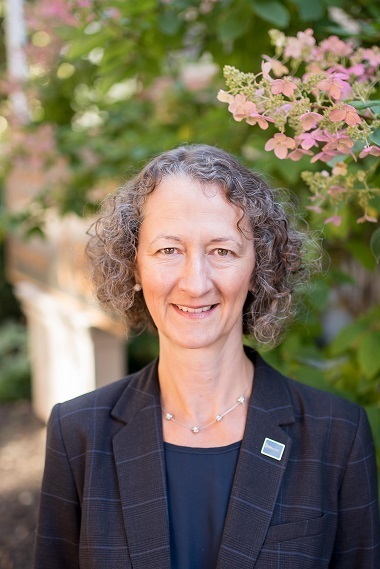 Janet Epp Buckingham helped develop and promote a proposal for a law school at Trinity Western. This profile is from the Faith in Canada 150 Thread of 1000 Stories. Faith in Canada 150 exists to celebrate the role of faith in our life together during Canada’s anniversary celebrations in 2017. I grew up in a church-going home. Attending church on Sunday morning was just something you did. My faith became my own through a variety of experiences in high school and university. And although I had a Mennonite name, Epp, we attended Baptist or United Churches, not Mennonite. When I started making my own decisions about church, I chose Mennonite Brethren churches, which turned out to be the Christian denomination of my ancestors. My interest in public policy started when I was in high school and was nominated to participate in the Forum for Young Canadians in Ottawa. I went on to university to complete a history degree and then went to law school. In law school, I started a Bible study group for law students. It was a lifeline for me in an environment I found to be very secular, and not faith-friendly. I didn’t really want to go to a law firm and have a traditional legal career. A few years out of law school, my husband and I went to Cambridge, England, for him to do his Masters in Law. I got involved with a Christian public policy think tank, the Jubilee Centre, that was working on issues related to a post-apartheid South Africa. It was 1989-90, one of the more interesting years to be in Britain. The Berlin Wall came down and South Africa freed Nelson Mandela and dropped the ban on the African National Congress. The Jubilee Centre was only too happy to have a Canadian lawyer around to address issues about a Bill of Rights, and federalism. They brought together experts from various countries with leaders from South Africa to have academic discussions, but within the context of Christianity. I gave my first academic paper at one of these conferences to an intimidating group of African constitutional experts. It was during one of our conferences that the ANC was unbanned. It was very moving to be with one black South African who had not been allowed to return to his country for more than 15 years. It was a shock to me that this man, who had been working with the UN in New York, could not own land or vote in his own country. It opened my eyes to the realities of apartheid, an issue I had previously ignored. I felt a strong sense of calling to work in some aspect of public policy with a Christian angle. When we returned to Canada, moving to London, Ontario, I got a job as executive director of the Christian Legal Fellowship. These were the days of Quebec separatism, Meech Lake, the Spicer Commission and questioning Canada’s future. I was happy to engage with a group of Christian lawyers examining these issues through the lens of faith. I was also involved with the Evangelical Fellowship of Canada, particularly on the social action commission. The EFC was intervening in important religious freedom cases and I was only too eager to develop legal arguments and write commentaries on these cases. I was keeping a watchful eye on events unfolding in South Africa. As they developed a new constitution, and held their first election with the full population able to vote, I decided to pursue graduate studies in law looking at issues of religious freedom in South Africa in light of the Canadian experience. I took my young family off to South Africa for the year 1997. It was a fantastic experience for us all. I graduated with my doctorate in law from the University of Stellenbosch in December 1998. I was both the first woman and first non-South African to do so. We moved to Ottawa in the summer of 1999 for me to take on the job of lawyer for the Evangelical Fellowship of Canada, representing evangelical Christians in the nation’s capital. My area of primary responsibility was religious freedom. While I addressed many issues of religious freedom in Canada, my heart was with those persecuted for their faith internationally. I worked with the World Evangelical Alliance and advocated for the persecuted at the United Nations in Geneva. The years I spent as legal counsel to the EFC were also the years the definition of marriage was being debated in Canada. As an expert in religious freedom, I advocated for religious freedom protection for clergy and religious institutions. I participated in negotiating amendments to the Civil Marriage Act to provide specific protection for religious institutions from discrimination if they maintained the historic definition of marriage. In 2006, I left the EFC and became the director of the Laurentian Leadership Centre, a satellite campus of Trinity Western University based in Ottawa. Up to 23 students come for a visiting semester and complete a half time internship along with three courses. I enjoy mentoring students as they make the transition from university to the work world. In 2007, I was tasked, along with Kevin Sawatsky, to develop and promote a proposal for a law school at Trinity Western. Each step has been a challenge. Yet it is a project that God laid on my heart back in the early 1990s when I was the executive director of the Christian Legal Fellowship. I did not anticipate that years later, I would be a professor at Trinity Western and a catalyst for the project. It has been deeply hurtful to see the negative stereotypes about the university. It has also been painful to have to go through a court process a second time to be able to start a new program at Trinity Western. The university fought a similar court battle in the 1990s to have their education program approved. Being a public advocate for Christian principles and religious freedom certainly has its challenges. I have been encouraged by my wonderful family and Christian community. Christian spiritual disciplines of Bible study and prayer have also provided deep spiritual nourishment when facing difficult challenges. Janet Epp Buckingham is a professor at Trinity Western University and director of the Laurentian Leadership Centre in Ottawa. She authored a book on religious freedom Fighting over God: a legal and political history of religious freedom in Canada in 2014 and contributed a chapter to Faith, Life and Leadership: 8 Canadian Women Tell their Stories, edited by Georgialee Lang. This article is re-posted by permission from Thread of 1000 Stories, an initiative of Faith in Canada 150 which features Canadian leaders whose leadership positions are inseparable from their faith. The profiles draw on the work done by senior editorial advisor, Lloyd Mackey in the Online Encyclopedia of Canadian Christian Leaders as well as presenting new stories from writers across Canada. ← Justice Matthew Begbie: Has the Law Society of BC treated him fairly? I am genuinely curious what Ms. Buckingham’s thoughts are on whether or not a law school at TWU would help or hurt religious freedom. For example, because of the secular state of public schools, many Christians have withdrawn. I understand the reasons contributing to those decisions. But, does constant withdrawing eventually hurt religious freedom as Canadians grow increasingly polarized? Also, TWU’s law school, if approved, would only be affordable to those of higher income brackets – does that contribute to a Christian education being elitist? These are important conversations to be having, especially in light of the new SOGI curriculum that has just been forced upon parents in BC.